I have come across and tested quite a few online invoicing services over the last couple of years. While every service offers their own unique set of features and different pricing to best suit a customer’s needs, I found that they were always lacking in some form or the other. For a long time, I was using CurdBee (Sidenote: Hiveage is launching soon) which was pretty great, but I soon grew out of it and began looking elsewhere. I tried out a few different services, including Harvest and Freshbooks, before finally settling on Ballpark. One of the major reasons why I couldn’t stick to any of these services, was the lack of an iPhone app. Almost all the services that I tried offered an exceptional set of features on the web, but no iPhone app. 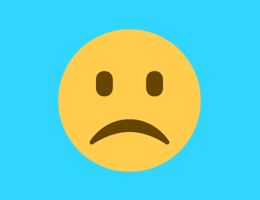 Invoices is a new iPhone app that’s looking to solve this problem. Invoices is a 3rd party iPhone app, developed by Code Committee, that currently works with three popular invoicing services — Blinksale, Harvest & Freshbooks. The app lets you sign in using your account on any of these services and offers easy access to your client list, invoices, stats and other features as well. Invoices has a very beautifully designed user interface that is subtle and stays out of your way. Once you log in, you’re shown a list of all the invoices along with the client name, the amount, date and status of it. Tapping on any of the invoices loads the detailed invoice on the next screen. This is the same layout you see when adding a new invoice. You can modify things like the invoice number, data, client as well as add/remove the items in each invoice. Tapping the little ‘i’ at the bottom lets you change the currency, payment due period and add a discount if needed. You can very easily preview & send the invoice and if needed, ‘Mark’ it as Sent or Paid. There’s a lovely animation with sound that plays out here, which is a nice touch. A Hamburger/Basement menu on the left lets you view your currently signed in account, add or edit clients and filter by invoice type (Draft/Sent/Late/Paid). Each type has the invoice count listed to its right. Since Invoices just uses your existing accounts, all your data is sync’d back to the server for your to continue where you left off. 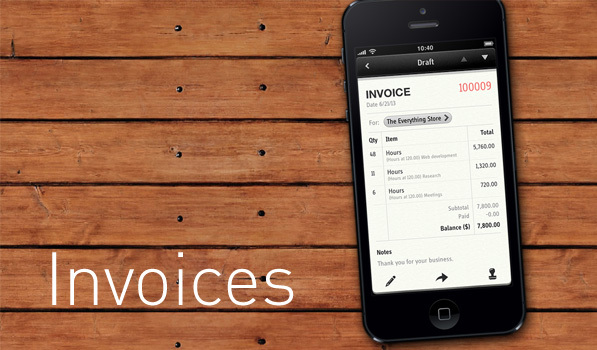 Invoices brings your most needed actions to your iPhone and is available on the App Store for just $9.99.